Sandra Byers, Shana Nicholas, Susan Voyer, and Georgianna Reilly have an paper coming out in Austim this month. 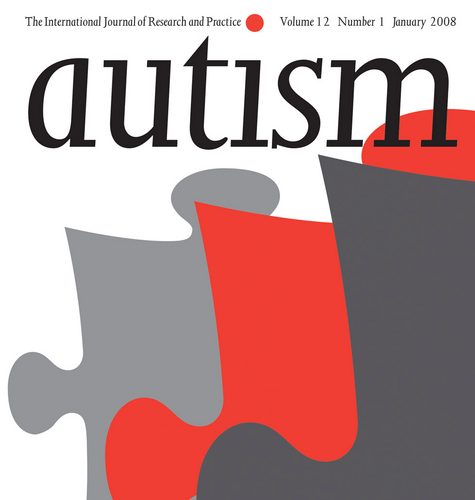 They survied 141 men and women with “high functioning autism and/or Aspergers syndrome” (AQ score of 26 or greater) about their sexual wellbeing. You can read the abstract of the article for free or pay for the entire article but I’ve summarized the interesting findings below. Gender Differences: The men had greater sexual well being but less sexual knowledge. They weren’t different in all areas; for example, they were the same in terms of sexual activity and sexual self esteem. They were different in areas such as arousability and sexual desires (this is pretty consistent with neurotypical gender differences). Autism Symptomatology: Folks who reported less autism symptomatology had better sexual well being but not necessarily more sexual activity (both with partners and alone). The folks who reported more autism symptomatology reported more difficulty with the other parts of sexual life like assertiveness and desire. Relationship Status: Folks in romantic relationships relationships reported better sexual well being. Everyone in the study had been in a relationship at some point so this is comparing the folks currently in a relationship from those not in a relationship at this time. So how did they define sexual well being? The looked at sexual well being in two main domains: dyadic (with another) and solitary (on your own). In these domains they examined affection, genital activity, sexual assertiveness, sexual satisfaction, arousability, sexual desire, sexual thoughts, sexual anxiety, and sexual problems. One of the take home recommendations for education relates to the two domains. These reachers highlighted the importance of sexuality education that teaches about partnered sexual expression and solitary sexual expression. They also recommended that sexuality education specifically focus on developing a positive sexual self-image. I can’t disagree with them there!